Philadelphia, PA WW/Press/November 11, 2016 –Jared S. Zafran, Managing Attorney of The Law Office of Jared S. Zafran, LLC, was selected for inclusion in the forthcoming Top Attorneys of North America 2017 edition of The Who’s Who Directories. 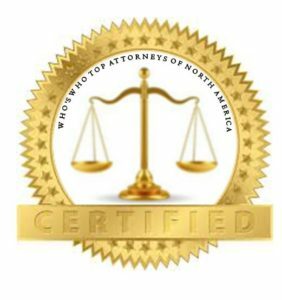 The accomplishments attained by Mr. Jared S. Zafran, in the field of Legal Services, warrants inclusion into the Top Attorneys of North America. Jared S. Zafran focuses strongly in the areas of birth injury, medical malpractice, wrongful death, spinal cord injury, trucking accidents, drunk driver accidents, car accidents, pedestrian accidents as well as slip/trip and falls. He is known throughout the legal community as a trial attorney, the reputation of which he takes great pride in. He is also known to try cases if insurers fail to pay his clients a fair value for their injuries since most personal injury lawyers settle their clients cases for less than they deserve. Jared attributes his success to being aggressive in the court room and being accessible to clients in each case handled properly from inception to resolution. He has tried numerous cases throughout Pennsylvania and New Jersey, and maintains a trial practice throughout the State and Federal Courts in both states. Mr. Zafran received his B.A. from the University of Pittsburgh and his J.D. from Widener University School of Law. Be the first to comment on "Top Attorney – Jared S. Zafran"